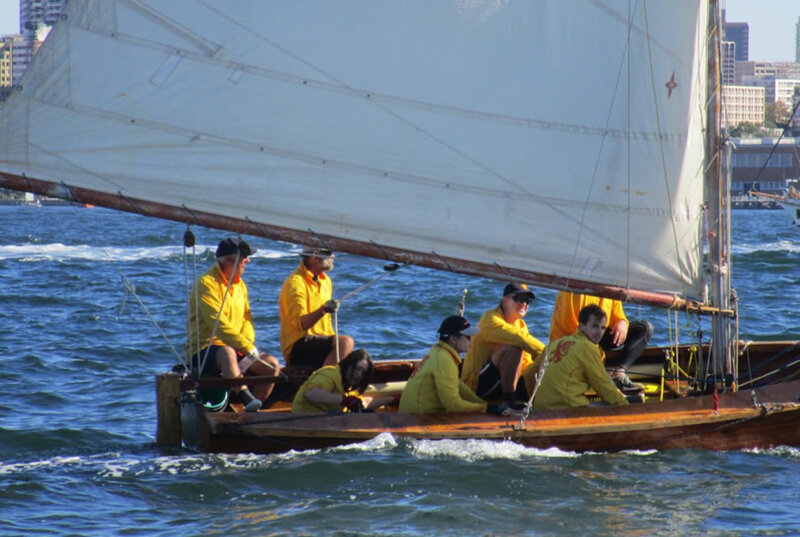 If you would like to try sailing 18-footers, we would love you to come along. Sailing experience is not essential but you must be able to swim. Age is not an issue. Our sailors range from teenagers to an octogenarian. We will make sure you are paired up with someone who can take you through the day and show you what you need to know. We also look for volunteers to help with everything from rescues, to race control, to the after sailing barbeque and raffles. If you would rather help out with racing, Email info@sydneyflyingsquadron.com.au and someone will contact you about joining our team. 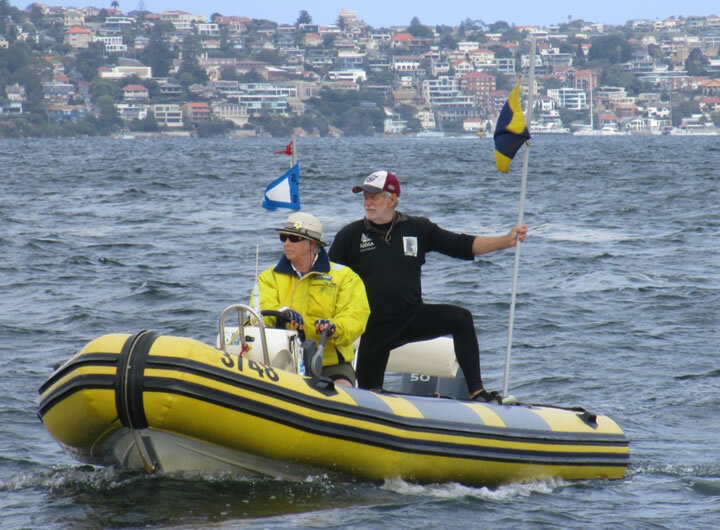 If sailing is what you would like to try, the best way to get started is to send an email to info@sydneyflyingsquadron.com.au and we will call you and give you details. You can sail three times before having to join the club so you have a chance to see if you like sailing these boats before committing to join the club. When an 18 capsizes, and it usually happens once or twice a season, there is no righting the boat. You are towed to the nearest beach where the boat has to be de-rigged before getting a tow home. You may be in the water for a while so having the right gear is important. 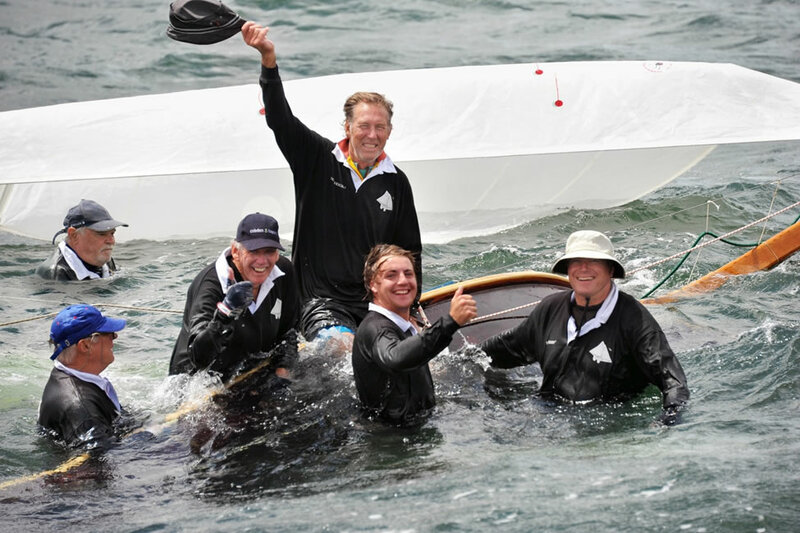 Most sailors wear a wetsuit, wetsuit boots, hat or cap, and lots of sunscreen. Over the wetsuit you can wear shorts, and boats have distinctive football jumpers as well. We have a limited number of spare wetsuits you can wear for the day if you just want to try out sailing before investing in a wetsuit. A good place to pick up a second hand wetsuit is a charity shop such as Salvation Army. They often have suits between $20 and $50. While wetsuit boots are available from boating suppliers for about $50, or online for anything between $35 and $45 you can get started with a pair of old sandshoes or sneakers. When the boats are launched you will be walking around the bottom of the boat ramp where there are lots of rocks and hidden obstacles. If you wear sunglasses, make sure they have a strap around your neck. It is very easy to break them or lose them overboard with so many people scrambling around. Leave the $200 Ray Bans at home and bring a cheaper pair. Also tie a strap or piece of cord to your cap which you can pin to your jumper. We don’t go back to retrieve caps that get blown off. Come down to the club around 11 and find the person who will have spoken to you on the phone. If they are not there, ask to speak with one of the volunteers. They will endeavour to find a boat that needs crew. Most times you will get a ride, but occasionally all boats are full. Don’t worry. You can go out with one of the volunteer boats and get up close and personal with the 18-footers. Once we find you a boat, we will assign someone to look after you for the day. They will show you how to rig the boat and you can help prepare the boat for launch. There is a café where you can buy some lunch or bring it along yourself. By about 1.30 – 2-00 the boats are launched and away you go. 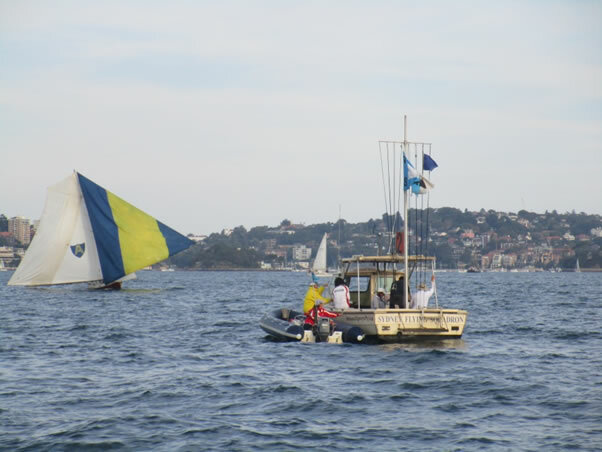 Racing starts between 2.15 and 2.30 depending on the boat’s handicap. Races are completed by 4.30. After sailing back to the club, the boats are de-rigged which takes about half an hour. Time to have a shower and change. By 5.00 – 5.30 you can relax, have a drink and carry out a post mortem on the race. A BBQ will be going so you can sample Rob’s famous sausage on a roll. A short presentation takes place around 6.00pm. Sailing 18-footers is a unique experience. 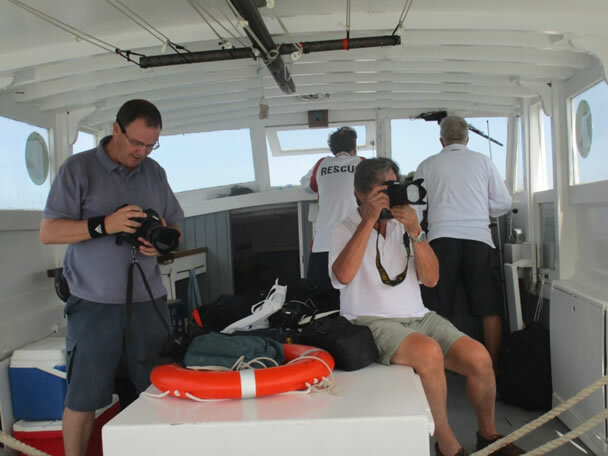 If sailing is not your thing, being a volunteer gets you up close with the racing. 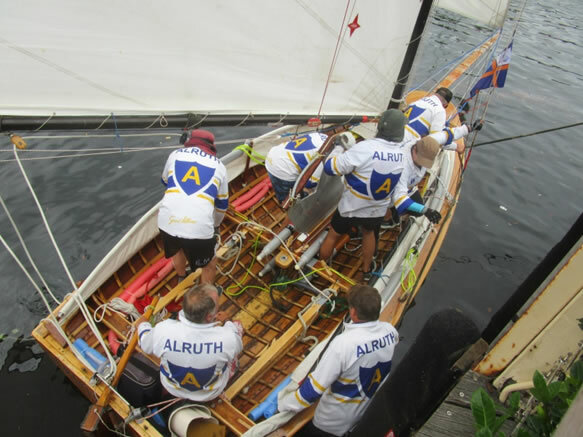 You will be welcomed into a group of keen sailors and volunteers and learn all about racing these incredible boats. Send us an email and we will arrange for you to sail or be a volunteer. If you want to have a closer look, come out on the spectator ferry and talk to some of the regulars about becoming a participant. Gemini, the “prime responder” with H18 Britannia, Killara II (race management) and Grey Rib. 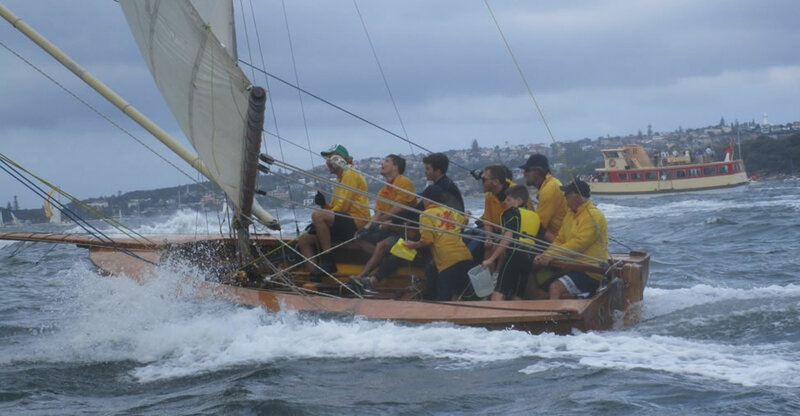 Killara II, the race management boat, with Grey Rib which lays the marks. Rippleside, the heavy “tow truck” and a few opportunities for photography in the quieter times!